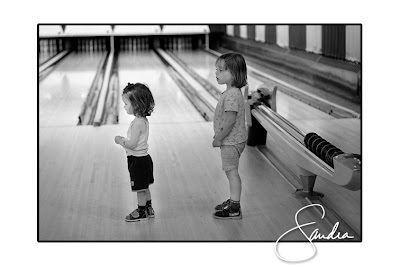 Paige didn't really care whether or not the ball rolled down the alley. 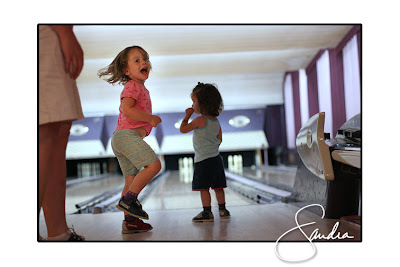 Her sister on the other hand was psyched! 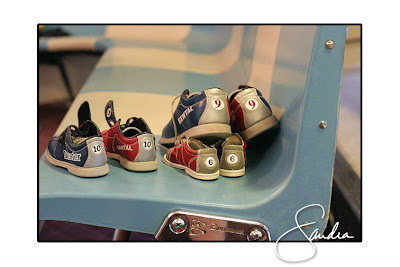 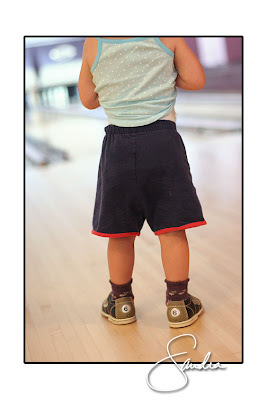 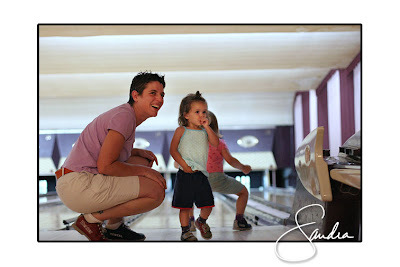 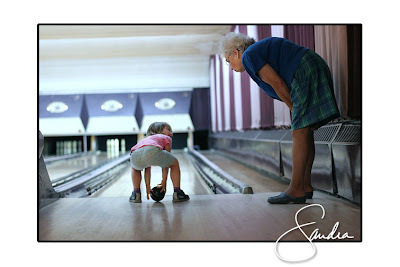 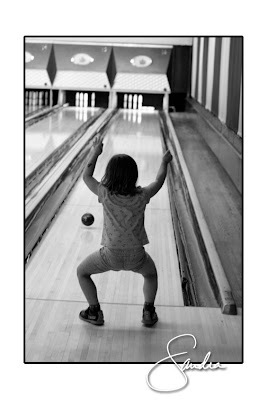 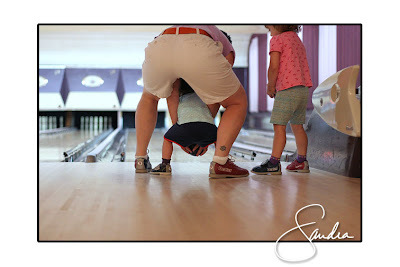 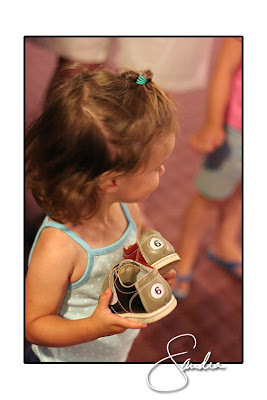 A lesson from Joan, the keeper of the bowling alley.